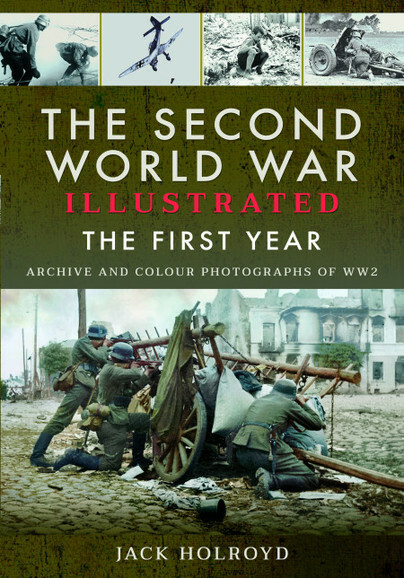 You'll be £13.59 closer to your next £10.00 credit when you purchase The Second World War Illustrated. What's this? The first volume covers contributory factors leading up to the outbreak of hostilities. Hitler's amazing success in correcting the real and perceived insults to the German nation resulting from the Great War and the Treaty of Versailles is acknowledged. There followed a military operation – Blitzkrieg – which rocked the world as two super powers, France and Great Britain, were soundly thrashed on the battlefield of Europe by Nazi Germany. With the skin of their teeth the British Expeditionary Force fled across the Channel from Dunkirk, leaving most of their equipment behind. The invasion of Kent in the south of England by a triumphant enemy equipped with a cruel and oppressive regime replete with Gestapo, concentration camps and policies of racial and political persecution presented a spine-tingling threat to the British people. With Winston Churchill at the helm disparaging peace treaties with the Nazi regime, the fight back began. A few thousand fighter pilots of the RAF defeated the Luftwaffe by a very narrow margin and Hitler looked to the east for his further bullying of national groups. The first year of the war ended, in September 1940, with Mussolini threatening Egypt and the Suez Canal. Jack Holroyd has had a lifelong interest in military history and has given valuable input into many Pen & Sword publications. He has authored two other works of non-fiction (SS Totenkopf France 1940 and American Expeditionary Force: France 1917–1918 ) and also one work of fiction (Lost Legend of the Thryberg Hawk), all of which are published by Pen & Sword. When Jack isn’t researching military topics he spends his time cooking, reading poetry and gardening.